Say Woof Petography: GCU Design of the Day Award for Easter Egg Cookies! GCU Design of the Day Award for Easter Egg Cookies! Wow! This award has been given to me once again on a design I have been working on for Easter. I just submitted this to Greeting Card Universe when just this morning I received this email. 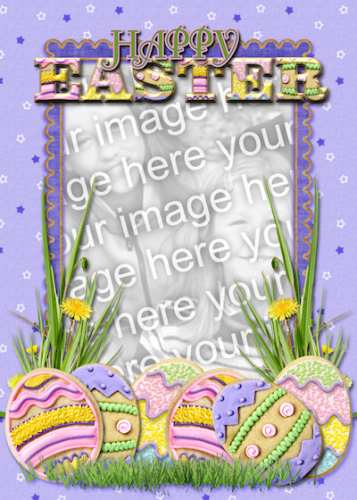 Congratulations, your card Happy Easter Photo Card(PID#898579) has been chosen as today's Design of the Day, and will be featuredon the GCU homepage for 24 hours, as well as the GCU Facebook page. Thank you for helping make Greeting Card Universe great! I have also been busy adding all my Dog Breeds into this design. There will be over 70+ Dog Breeds available. Not all are available yet, but will be as soon as I can get them completed. 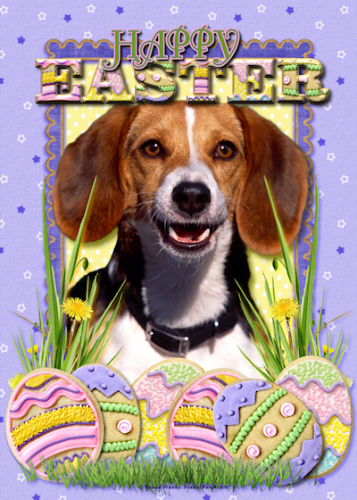 If you are interested in this Dog Breed Easter Card and do not see your Dog Breed, please contact me and I will promote it to the front of the line. Currently I am working on them in alphabetical order. ALSO, If you would like YOUR OWN DOG or and pet for that matter into this design, please feel free to contact me. I can do it as a custom order with no addition charge to you. Here is an example of what this card looks like with a Beagle in it. This design is available on Zazzle where you can get matching postage stamps, envelopes and stationary as well as over 200+ other products that are perfect for yourself or as gifts. I will post when my design is complete with all dogs. In the meantime here are othe GCU artists that have done Easter cards with Dogs. Congrats on your design on the day - very cute card. It will make a wonderful addition to your GCU store! And *thank you* for featuring my Yorkie Easter Card, too. That was very sweet of you!